I have been enjoying The DC shows on The CW like The Flash, DC’s Legends of Tomorrow and Supergirl. (Although our fans have been telling me that Arrow’s fifth season is the best one of them all.) Soon Syfy will be joining in on the DC fun with the upcoming Krypton series. 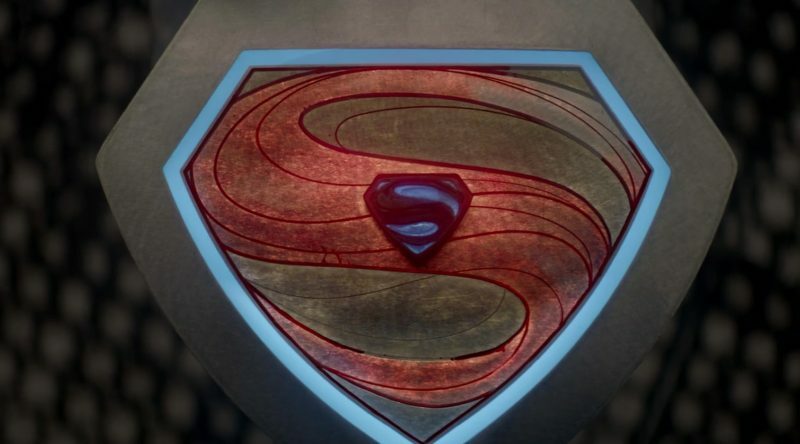 The network has debuted the Krypton teaser trailer, and it focuses on the Kryptonians before Krypton, Superman’s home planet, bit the dust. Krypton follows Clark Kent’s grandfather, Seg-El (Seyg-El in the comics), a member of the House of El. Soon he is shunned and humiliated, and he’ll have to gain back the reputation of his family while saving his world from turmoil. Check out the Krypton teaser trailer below. The first promo for Syfy's 'KRYPTON' has arrived. What’s interesting about the teaser trailer is that Seg-El knows his fate and the fate of Krypton. In addition, we can hear him speaking to Kal-El, who he knows will survive and be an alien in another world. Is he recording a message addressed to the Man of Steel, or is he talking to baby Kal-El? I guess we’ll have to watch the show to find out. Cameron Cuffe will be portraying Seg-El. Furthermore, he’ll be joined by Georgina Campbell (King Arthur: Legend of the Sword) as Lyta Zod. They will have a relationship similar to Romeo and Juliet. What? A Zod and an El together? That’s crazy talk. Lyta is part of the military and daughter of General Alura Zod. Game of Thrones fans should recognize Seg-El’s grandfather, Val-El, who’s played by Ian McElhinney (he portrayed Barristan Selmy). David S. Goyer (The Dark Knight trilogy, Man of Steel, Batman v Superman: Dawn of Justice) will be the executive producer for Krypton. Damian Kindler (Sleep Hollow) will serve as the show’s executive producer and showrunner. Colm McCarthy (She Who Brings Gifts, Peaky Blinders) directed and co-executive produced the pilot. David S. Goyer and Ian Goldberg (Once Upon a Time, Terminator: The Sarah Connor Chronicles) wrote the pilot teleplay and story. Warner Horizon Television is producing the show.